Before Mason was born I read and was told by other moms that it's good to read to your baby even though their in your belly, because they can hear your voice. I read (when I remembered) a book to Mason and kept thinking how exciting reading a book will be when Mason is actually here. Four months forward and mason is here and we love reading books! We have anything from 10 + Dr. Seuss books, ABC books, to books will with texture and bright colors! Rex, Mason and I read a book a day right before bed time, and has now become a fun routine that if we didn't read a book that, night would feel completely off. We started reading books to Mason from me being pregnant, to him being a few week, to now. I truly believe that no matter what age your baby is even if their in your stomach , your little one benefits from it. While writing this I felt like I needed to add some facts to tell you the importance of reading to your little one! 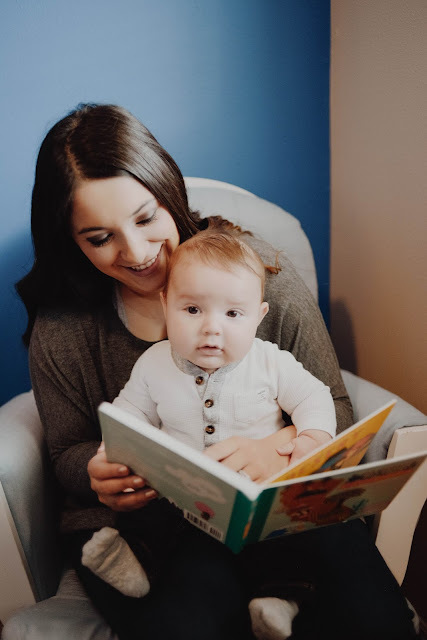 According to the website, Read Out and Read; reading to your child allows your child's development for language to grow! As your reading to your little one the bond one creates is immense, I truly believe that whichever way we spend time with our children that the relationship your creating will create life long beautiful memories. With reading, your child develops a positive mind to reading and increases their interest in reading more and more. It can help build curiosity, motivation, memory and the beautiful-unlimited imagination that a child can have. Now that mason is almost 5 months old, mason has now become more interactive with the books he reads. 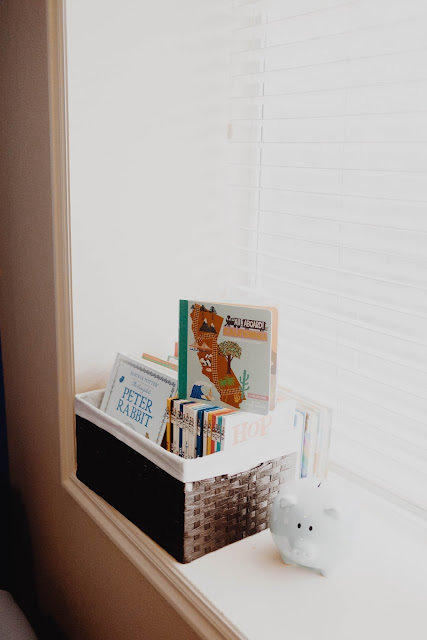 He loves staring at the bright colors, looking at all the pictures and books, and especially loves hearing mommy and daddy make silly sounds to help him connect with what in the book. We that reading has created memories that we wont ever forget and I can know that as were reading to him it not only makes for some fun time but also educates him and helps him grow. I recently teamed up with the lovely Lucy Darling to share one of Mason and my latest favorite book! There are several book to choose from, but we of course had to take the "All Aboard California", since that's where mommy is from and I loved being able to show my little Mas where I was born in a way that he will be interested and love. Each book is filled with beautiful landscapes, pictures , and what each state is popular/known for! But hey she not only sells books, but also swaddles, gift boxes, prints, and so much more! Head over to here shop to see the items that you and your little one must have! 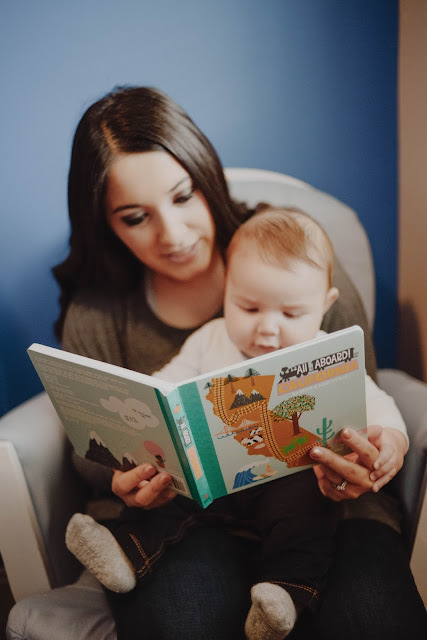 Don't forget to read to your little one and be ready to start some beautiful bonding!